Book your airport transfer from La Romana to Samana with Cocotours. Our company was established in 1994, and we recently became a proud member of the TripAdvisor Hall of Fame, having won 6 consecutive Certificates of Excellence, so with us you are assured of great service and a comfortable ride. What better recommendation could you wish for? The drive from La Romana to the Samana peninsula takes about 4 hours, depending on which of the resort areas you need to get to: Las Galeras, Las Terrenas or Samana town. Our La Romana airport transfers run 24/7/365, and we operate come rain or shine, so if you have a booking with Cocotours, our airport greeter and our airconditioned van, bus or luxury SUV with uniformed driver will be waiting for you. Not currently available. For most shared transfers we use 6- to 10-passenger vans, but sometimes larger buses are used. On a shared transfer our vehicle may make several stops for other passengers before it arrives at your destination. Our private transfers from La Romana to Samana get you right out of the airport the minute you get into our transfer van or bus, no need to wait for other passengers, get to your resort or villa sooner, to enjoy the pool and the beach faster! On certain routes, we can also offer luxury SUVs. On all private transfers, we offer pre-bookable drinks such as 6-packs of chilled water, 6-packs of chilled Presidente beer, and bottles of Prosecco. For those who'd like to break the journey half-way, we can offer an optional 2-hr walking tour of the colonial zone of Santo Domingo, this gives an opportunity to stretch your legs and take in some of the sights. To request a quotation, just fill out the inquiry form on this page, or drop us a line on transfers@cocotours.com or contact us by phone or WhatsApp on the numbers at the foot of this page. To confirm any reservation, we require a deposit or full payment via PayPal who offer a convenient and secure means of payment. You do not need to have a PayPal account in order to pay us – PayPal also offer the possibility to pay with any credit or debit card. If you choose to only pay a deposit, you may pay the balance in cash to our driver. 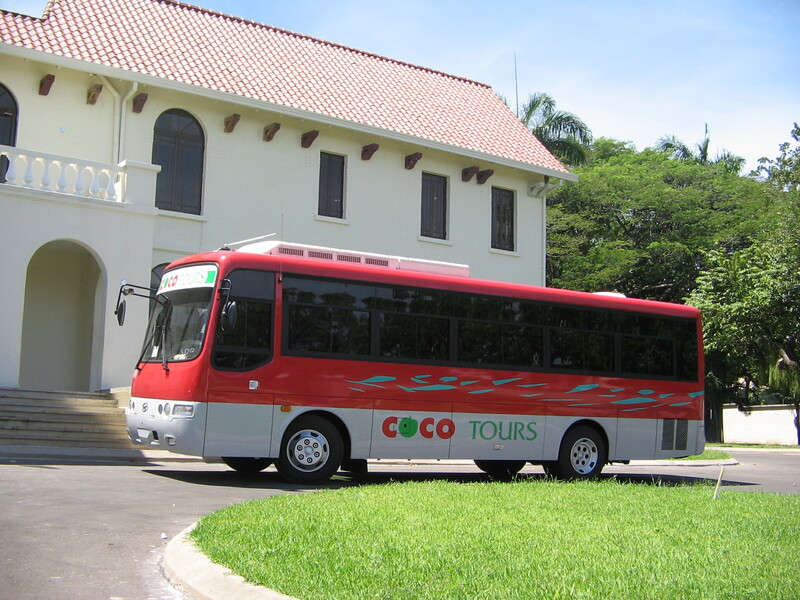 We look forward to welcoming you in the Dominican Republic as a passenger of Cocotours!